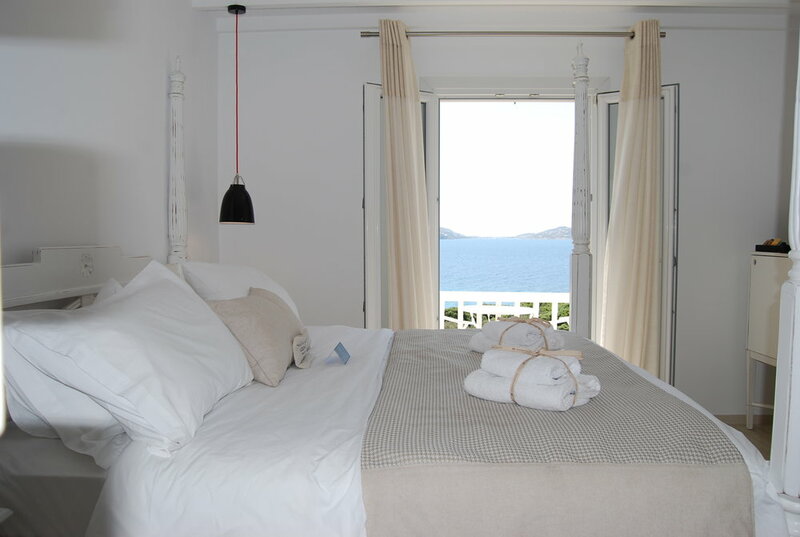 Mykonos Princess Hotel is a Mykonos beach hotel, within 5 minutes from Agios Stefanos beach. It is an amazing location of Mykonos since it combines quietness and calmness, a beach with the typical crystal clear water of Mycokos, yet is close enough to town. It is designed in the typical Cycladic architecture in relaxing white and grey colors which blend harmonically with the amazing blues of sea and sky. It offers 9 room categories, based on your taste and on your budget.The room that we stayed was spacy, clean and beautifully furnished and the bed was extremely comfortable. Guess what.? We had a pillow menu! There were also plenty of choices for breakfast. A must-try, are the freshly made cocktails and you should definitely enjoy them by the pool!The staff were outstanding professional, yet friendly and helpful and definitely made our stay there so special that we would absolutely recommend Mykonos Princess and would love to stay there again!